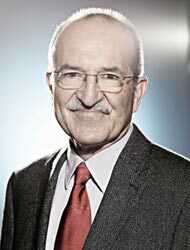 Stephan Ruß-Mohl is professor of journalism and media management at the Università della Svizzera italiana in Lugano and director of the European Journalism Observatory. He was a visiting fellow at the University of Wisconsin in Madison, at the European University Institute in Florence and at the Department of Communication at Stanford University. His publications on media journalism, quality in journalism, corporate communications and economic theory of journalism have changed the agenda of communications scholars and journalists.